Two years ago, we bought a 28 foot, 1968 Airstream Ambassador on eBay. 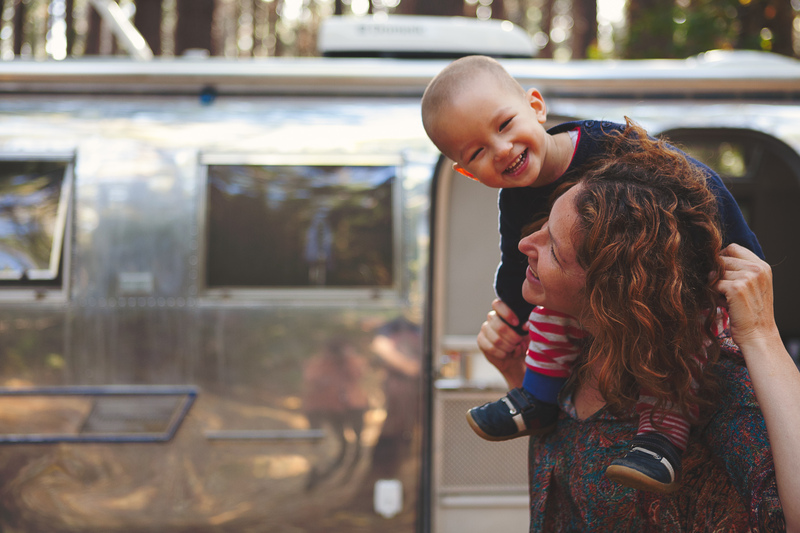 The idea of buying and living in a vintage Airstream with our kids coincided with months of sleep deprivation following the birth of our twins. As a Mum to three kids under two at the time, the travel junky and career woman I was had been replaced by a suburban housewife who barely had time to shower. I was drowning. Drowning in nappies, in mess, in bills and boredom. And I dreamt of escape. Not from the children, but from the rest of our mediocre, consumeristic and debt-ridden life. It didn’t take much to convince my partner, who is a closet vagabond, to sink our house deposit into buying and renovating a 1960s Airstream. Rarely home from work before the kids were in bed, he was equally desperate to escape the rat race and embrace a simpler life. So at 2am one morning, I found and bought “Wallabee” on eBay. Thus began our Airstream adventure – first shipping her from Minnesota to Santa Barbara to be customised, then all the way to Australia to embrace our wanderlust. 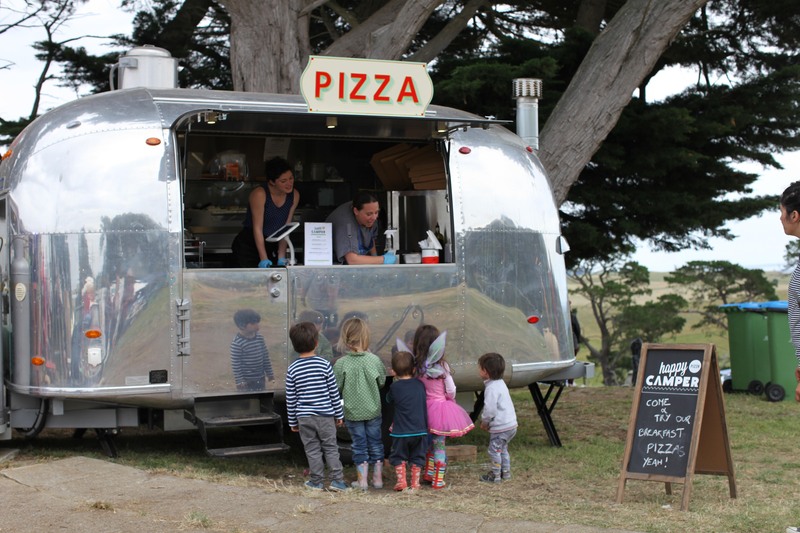 We have converted a 1960s Airstream Caravel into a mobile Pizza business – Happy Camper Pizza. This Airstream is called Allegra and she caters for street food, festivals and private functions. 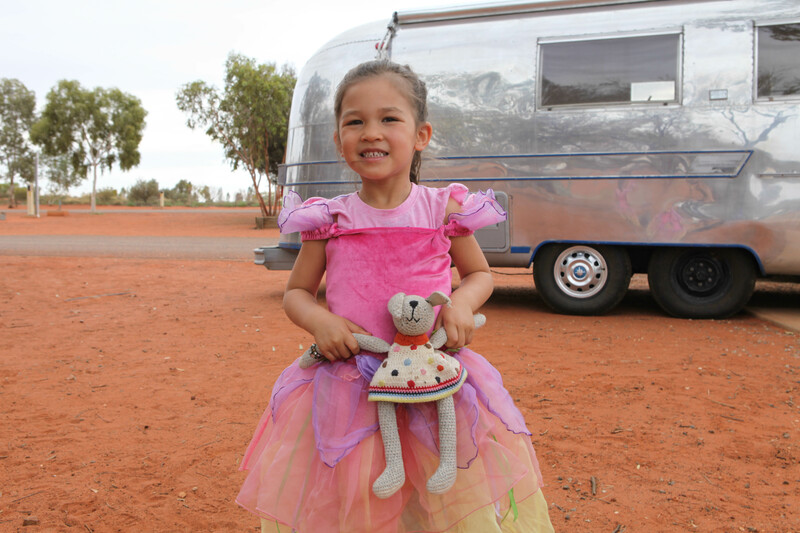 We originally had a crazy idea to travel around Australia with two Airstreams – one our home and the other our source of income. However it was quickly relegated to our dream pile. We realised in the first 24 hours of a road trip to the Red Centre, driving with small kids is in fact hell. You need one person just to stop the twins from biting each other! In the meantime, we are based at my mother’s house in West Melbourne (which we have taken over). We are a family of five who thrive on new adventures. A former reporter, video journalist and documentary maker who threw in a life of intrepid travel and her career at the ABC to be a full-time Mum. A global nomad with French and Vietnamese roots who is on sabbatical from his job as an engineer to spend more time with his family. A tutu obsessed four year-old who loves dirt and rocks . 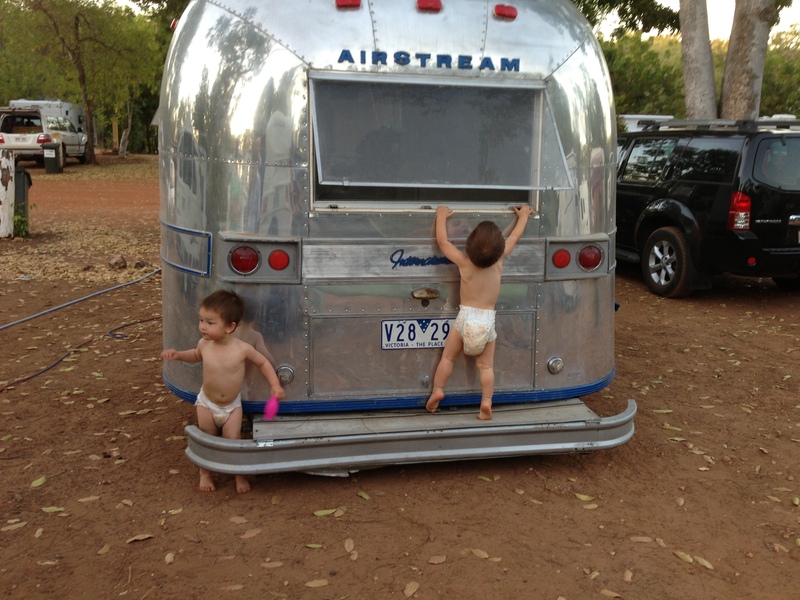 Two year-old twins and troublemakers who won’t stop pulling our Airstream apart. It even has a toilet with a door. Fancy another Margaret River renunion? Oh my goodness! I just stumbled upon your blog after you liked my post on “Mom’s Life Before 9 AM.” As a mom of four kids, now six and under, I totally understand the feeling of drowning, and totally understand the desire for escape. I don’t drown in nappies, but I do drown in diapers. : ) I love that you’re doing this, and I love that I can follow your adventures in Australia while living here in Minnesota (home of your beloved Airstream). Hello there, great blog Son, you are going to need a great big American gas gussling 4wd to tow the wallabee… It looks great, traveling around australia is a definite must for everyone, we have such a beautiful country. We met several families whilst we were travelling around oz, one family had been travelling for a year already with 3 kiddies under 4, they started in Sydney & we met them in Broome, hehe 1 yr to get to Broome what a life. Wow, a year to travel from Sydney to Broome. How fantastic! We’re looking at cars now. I’m fantasizing about doing a fish and chip oil conversion but with our limited budget and the sheer size of our trailer, it looks like it will be an ugly diesel land cruiser…there isn’t a lot of choice. I didn’t know you guys had travelled around Oz. I’ll have to pick your brains at a later date. Thanks so much Sharon. Yes, here’s to life and making the most of it! What a wonderful adventure! 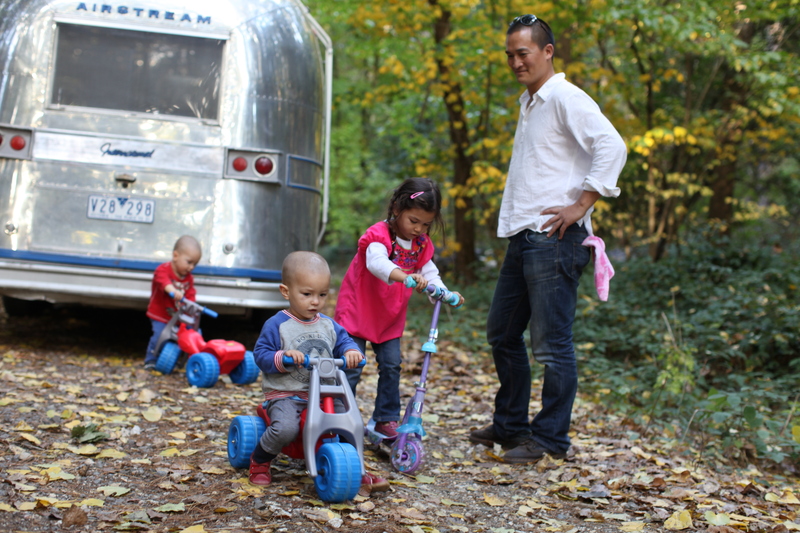 I cannot wait to follow you on the road with your Airstream thanks to your blog! I admire your sense and adventure and priorities; you are just so right! What do we get that really touches our hearts in the end from all these consumerist habits? You will get SO SO much from the amazing adventure you are preparing yourselves for! Well done, well done!! And thanks for sharing it with your friends. Thanks so much for your kind words Maud. We can’t wait to hit the road and share some of our adventures. It’s 2:50 AM and I am lying in bed following your adventure on my iPad. After much thought I have decided to purchase an airstream as well. I had considered a Travco and a GMC motorhome, But the airstream provides a more flexible arrangement. I have my sights set on a 1955 Overlander. Even though it is a 26 footer, it only has one set of wheels so i’m concerned about that. Since I am the only one that will be using it, my layout will be much more loft like in its design. Sydney and Melbourne are two great cities. If you like San Francisco you will prefer Melbourne While Sydney has an LA flavor due to all of the beaches. I noticed in the video that they provided you with an insect screen. Make sure you have a good working knowledge of it once you leave the cities. Take care and enjoy your adventure of a lifetime. I will be following your blog and who knows I might follow in your footsteps as well. Thanks so much for following my blog Malcolm. You can always replace the chassis and add a second axle, depending on your budget. A loft-like space sounds great. Let me know if you do end up buying a 1955 overlander. I loved the 50s whaletails so much but it wasn’t feasible for this project. I’d love to see photos of yours. Thanks for the travel advice too. I’m ready for the insects and wildlife – im actually Australian. Bizarrely most of us Aussies do copious amounts of overseas travel and save our own country for retirement. We’ve decided to take the plunge early. Come and join us! Congrats on your new Airstream! It looks great! 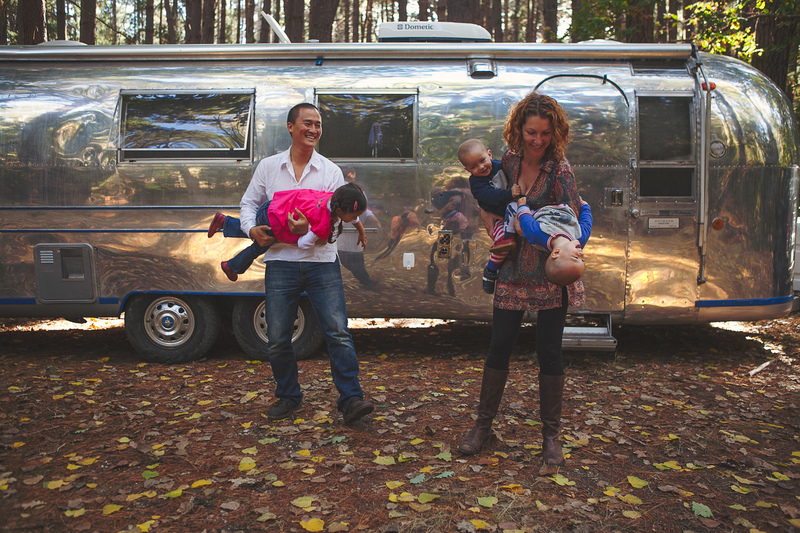 We are also a family of 5 in an Airstream. We are traveling across the US with our cat and keep a daily blog of our adventures. Coincidentally, we called the Santa Barbara area home for many years before we left for our full time Airstreaming adventuer. I can’t believe you guys are travelling with a cat! I can’t wait to read more about your adventures. We finally have our Airstream and I am wondering how the 5 of us will survive in such a small space, especially my crazily mobile kids? I am really looking forward to following your adventure! Wish I’d been that adventurous when our kids were young. Good news is that if I do it now I won’t have so many people to feed! Adventurous or just crazy? Thanks for following my blog Terri. Okay, I wasn’t going to say crazy, but since you said it… I’m still looking forward to your adventure! Just have to embarrassingly squeeeeee with excitement that I’ve found your blog and have now read every post and feel like we will be great friends. Hoorah! I love it! I stumbled upon your blog and am so excited for your family. We purchased a 1971 Sovereign last April and over the last year, we’ve completely fallen in love with it. I had no idea. We’re not brave enough to do it full time with 4 children under 11. But we are planning a 4 – 6 week trip across the country to see family and explore after school let’s out. Look forward to reading about your adventure! Found you through MaliMish.com! My wife and I are interested in life on the road. I’m very curious to know how much the Airstream cost you for the initial purchase + the renovations, which are AWESOME! I love the design! I’ll enjoy following you guys on your adventure! Sounds like a brilliant adventure! We want to do something wild and crazy in the not-too-distant future with our two little ones in tow… In the meantime, I will thoroughly enjoy following you! I have seen a bit of our beautiful country by road and loved it. I think it’s a fantastic plan. Good on you guys, you are going to have the time of your life when you get over here, it is a fantastic country. We look forward to following your journey. I have been looking (drooling over vintage caravans on Ebay) I want to throw my family together for and adventure around Australia. Wow, that’s a serious list of questions. Ill get back to you with some answers as soon as my little monsters give me some time out! I love your commitment to an awesome trip. I myself am riding a motorbike around Australia and into Asia next year and can hardly wait! In the meantime I am actually looking into buying an Airstream and want some help on costings. Given your own experiences, I am hoping to understand the renovation and import costs associated with the buying one in the US and getting it onto the road into Australia. Whilst I am sure you may not want to make this info pblic is there any way you can help me out? I’m happy to help out… As a starting point, you’re looking at between $6-$10,000 US for a Vintage Airstream, depending on the condition. Wallabee cost $7,500 on eBay. I personally recommend going for a pre-1969 model of trailer to avoid the extra cost of having to move the door to the left. It was exempt for our 1968 trailer and we didn’t have any problems registering her. Your motorbike trip sounds amazing. When do you hit the road? Thanks so much for taking the time to leave such a lovely comment. I must admit its a hard balancing act with kids – you never really feel “free” – but its a much more rewarding and interesting way of living as opposed to sticking your kids in childcare and continuing on the full-time employment treadmill in order to pay off a mortgage and buy all those “things” you don’t really need. I’m really looking forward to being part of Common Threads and connecting with other open minded and lovely people such as yourself! Hi there I just found your blog, Love it, as the previous post wrote it is definitely a brave , liberating and spontaneous life you and you clan are living.. Were about to follow suit, we are importing a 72 Overlander as we speak..
Hi there … I am looking to buy an Airstream to tour around… and have been searching for one to import from the US..and may have found one … but would be a lot easier if I could buy one here in Australia… I was wondering whether anybody could help me. What a great adventure! love it when I come across a blog that has me laughing and going ‘wow wow wow’ all the time! I hope we find you somewhere on the road one day and can grab a pizza… such an innovative idea!! Keep laughing!